Is this community still kicking? I tried to post here (on LJ in general) a few times throughout 2018 and each time it either crashed out completely, never loaded, or erased the entry prior toposting, so I gave up for a while. 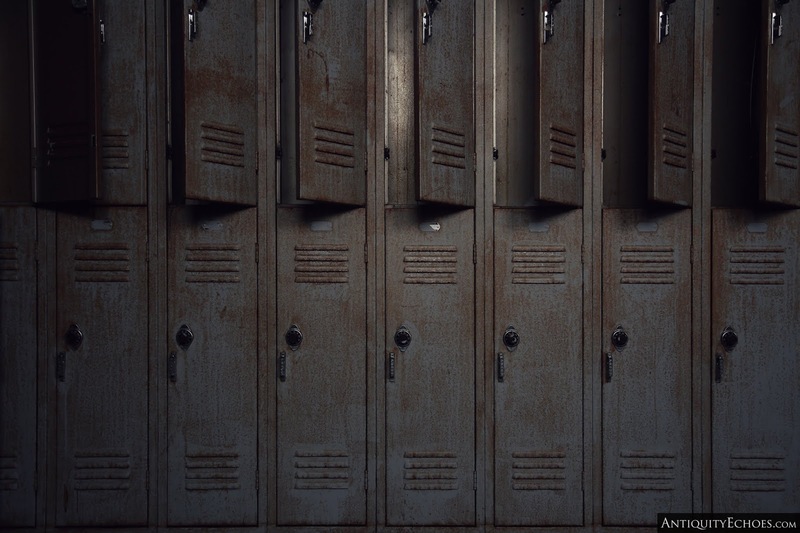 Rows of rusting lockers line a corridor draped by shadow so deep you feel as if you could reach out and lay your hands upon it. Above, anemic skies distort and bend upon themselves as a light mist begins to fall. In through some unseen window enters a steady flow of cold spring air, it carries with it the bitter aroma of scorched plastic. Sirens wail continuously from some far off place, muffled by the brick exterior of the building to little more than a repetitive and endless drone. 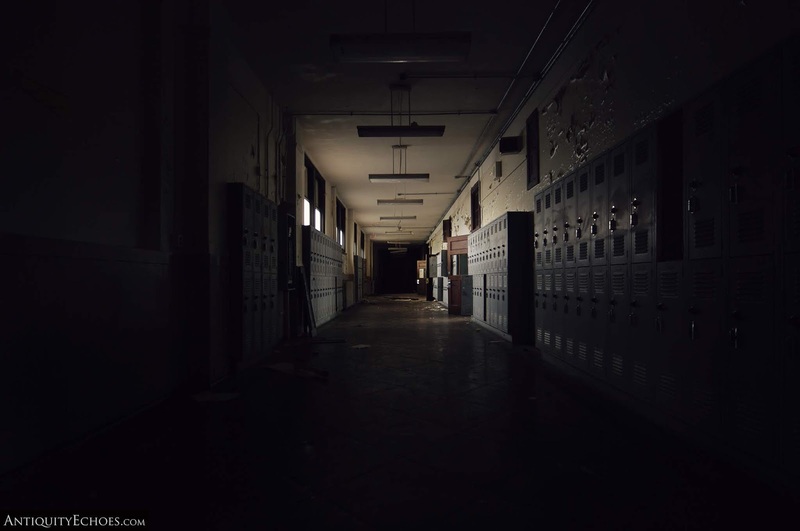 A background noise which carried through every corridor of the three-story school. Nice to see you here again! 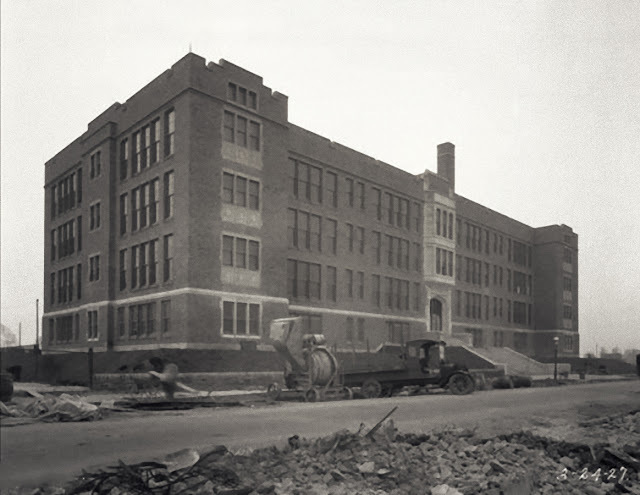 What a spooky old school; it reminds me of one from about the same era, that my older sisters attended in the early 60's. There's still life here on LJ after all! Thanks for checking out my first post in a century. I had to remember how to log in! That's amazing how much stuff is still there. I'd have assumed anything that could be stolen would have been stolen. It was a really weird place. 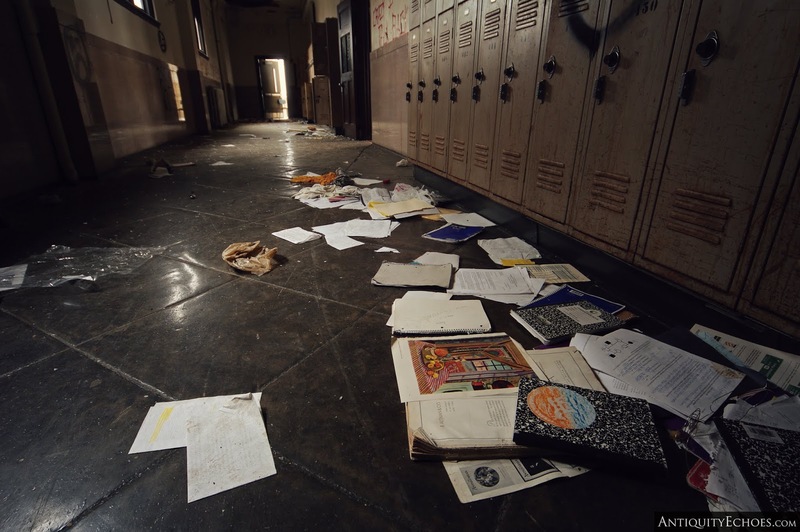 All the school material left behind, the darkness, the gloomy weather, and the absolute absence of people was really off-putting. Where is it? The States somewhere? Here in the UK a building left like that... somebody would have all the scrap metal, somebody would take the furniture, heck, somebody would probably sneak in and steal the floor coverings. Yup, it's just outside a major city on the east coast of the United States. I've purposely left out specifics to avoid ill-will befalling the place. Thanks! Going forward I plan to post here whenever we do a new update on our site. I find with some communities that having links in your post sends it to the queue which is basically the void if the community maintainer is gone. What I always do is make a text post then add the link later. Oh, that may have caused some of the issues, but o culdn't even post to my own journal for ages. Thanks for checking it out! I'll be sharing new stuff going forward now that LJ works for me again. Such gorgeous photos. 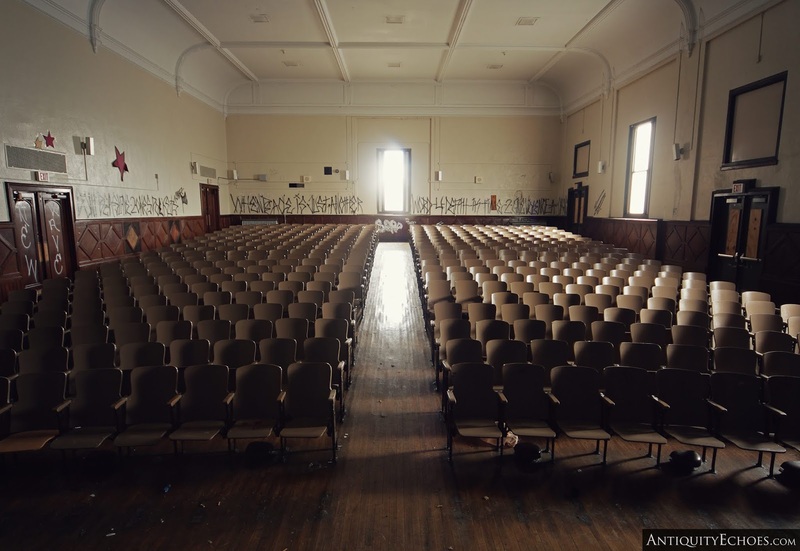 I love the auditorium full of ghosts. It may well have been full of phantoms, it surely felt like it at times. It certainly felt that way from the photo! You'r writing is gorgeous as ever. I'm so glad you're still posting here! Love the photos too. 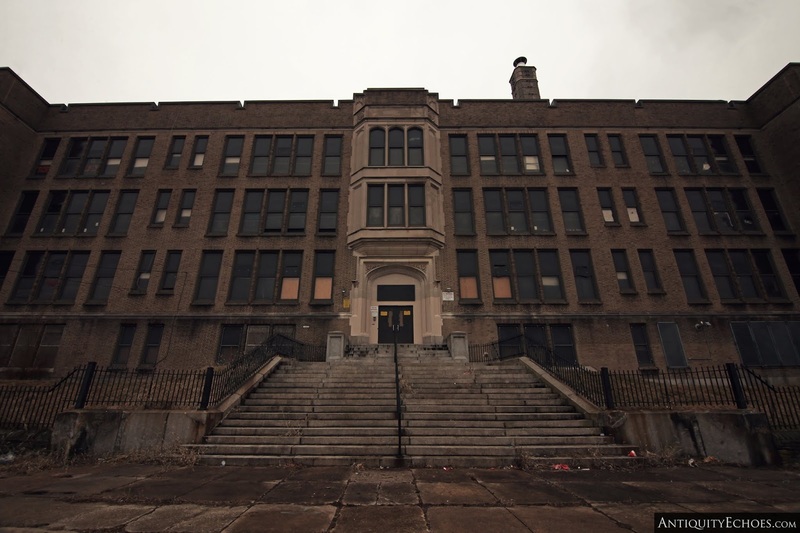 This old school gave me the chills... Amazing place. Thanks! I've really put an increasing effort into the text over the years, and my partner Christina turned out to have a hidden talent as an editor, which has helped a great deal. So were the sirens from that recycling plant fire? Yup! It was a really surreal day. In a lot of ways it seemed like Silent Hill at times.